In the last few years, I have noticed more circles and slight puffiness under my eyes. While I have products I use for this, it’s become more noticeable in recent times. This is most likely due to the increased amount of time I now spend in front of the computer daily. 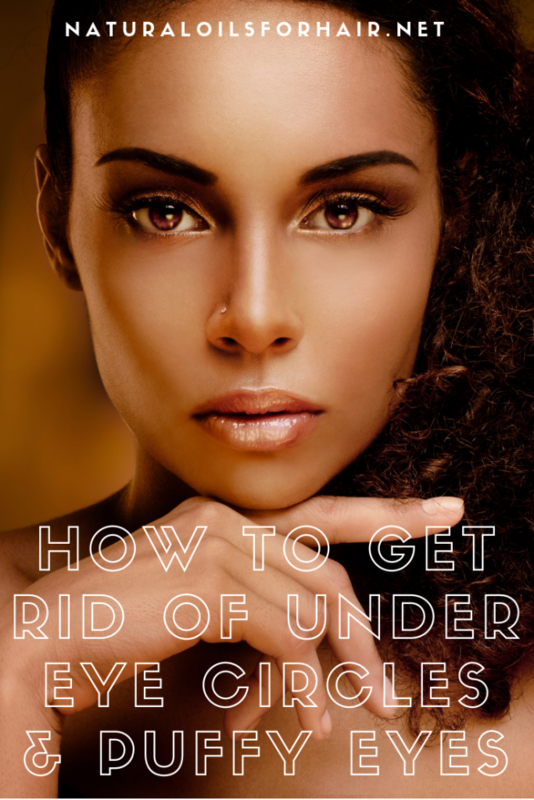 There are more causes of under eye circles and puffy eyes as well. I’ll be covering these reasons and sharing 3 DIY recipes for under eye circles, puffy eyes and baggy eyelids. Lack of sleep, too much sleeping and excessive interruption of your sleep cycle can lead to under eye circles and puffy eyes. When I was sleep deprived at a previous job, there were two forceful ways my body reacted to it. Loads of acne and huge puffy eyes. I looked 15 years older than I really was. It is not possible to cheat sleep without consequences in the short-term. A diet composed of excessive salt and fatty foods can be contributing factors to puffy eyes. Excessive salt consumption also causes fluid retention. This one is standard. Crying will cause puffy eyes but this type of puffiness should dissipate after a good night’s rest. Too much may lead to something that will require some treatment to remove. Our body needs water to process everything and remain healthy. Without enough water, the skin begins to look dull and puffy including the eye area. While natural aging leads to thinner skin due to the loss of fat and collagen required to maintain skin’s elasticity, one can still do a few things to mitigate the effects of this aging process. If under-eye circles, puffy eyes, and baggy eyes are common in your family, it is likely you will have the same issues. It may even appear when you’re still young. As I mentioned above, staring at my computer a lot without frequent breaks has led to some unwelcome circles under my eyes. This isn’t an exhaustive list but these are the most common reasons. Under eye circles and puffy eyes are common in a lot of people including children. In recent times, I’ve started boosting the work of my very effective eye cream with some additional oil treatments, which I’ll be sharing in this article. Lie down and close your eyes then place one slice each on your eyes with the coconut side facing your eyes. Wait for half an hour then rinse off with lukewarm water. You can listen to relaxing music while waiting. When your face is dry, apply a few drops of coconut oil under each eye and massage gently in circular motions for a few minutes until absorbed. 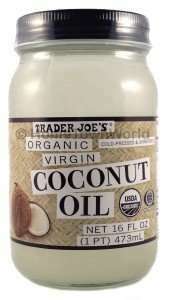 Apply your eye cream thinly over the coconut oil and leave in overnight. Repeat the process every evening. 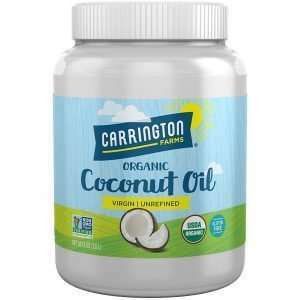 My favourite brands of coconut oil include Trader Joe’s Organic Virgin Coconut Oil and Carrington Farms Organic Coconut Oil. This remedy is particularly useful for circles that appear black. Place the freshly sliced cucumber over each eye. Leave on for 30 minutes then rinse your eyes. 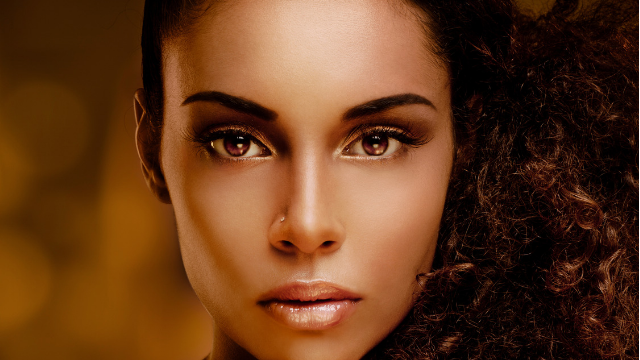 Afterward, mix the sweet almond oil with the vitamin E oil and apply under each eye. Massage in the same way as above until the oil is absorbed then leave in overnight. Repeat every evening. My favourite brands of sweet almond oil include Life-Flo Pure Almond Oil and Piping Rock Sweet Almond Oil. Massage in gentle circles until the oil is absorbed. Wait 5 minutes, then apply your usual under eye cream very lightly over the area. Massage again. Leave overnight. Repeat every day. For the vitamin E oil in this article, go for the vitamin E oil with 70,000 IU, which is the purest form such as Sundown Naturals Vitamin E Oil. You don’t have to practice all the 3 methods above at once. Start with one and maintain for about a month to see if there is an improvement. If not, move on to the next suggestion. This way, you are able to isolate and eliminate what isn’t working. The second recommendation above is my favourite and the one I’ve stuck to over the last few months. I alternate it with my under eye cream so if I use the sweet almond oil, vitamin E oil, and cucumber poultice on Sunday, I use my under eye cream on Monday etc. Do be careful when applying each mix and don’t let it get into your eyes. While not harmful, it will likely irritate your pupils. Over application will not produce faster results. Apply the recommendations in moderation and focus on consistency. It takes some patience to complete eliminate puffy eyes and under eye circles. Keep in mind you also need to eliminate or reduce other parts of your lifestyle causing these issues as well. Share your DIY recipe for under eye circles and puffy eyes in the comments section.